Dayton Freight Lines, Inc., a leading provider of regional less-than-truckload (LTL) transportation services, has expanded their Service Center in Indianapolis, Indiana. 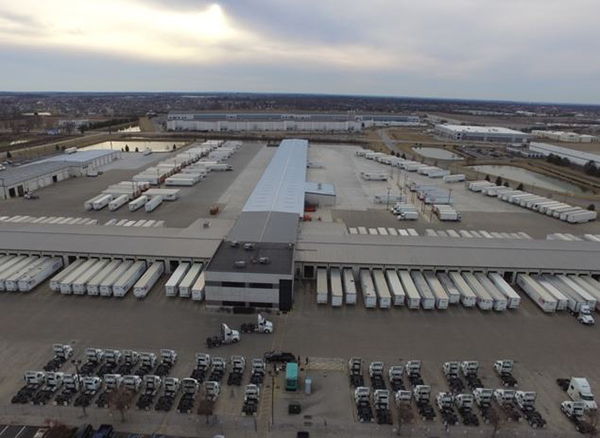 This is the largest Service Center at Dayton Freight, and has nearly doubled in size by adding 136 doors for a total of 280 doors. This addition also includes a truck scale, 12 new truck bays and a wash bay in the Maintenance Shop. This saves time for Dayton Freight Drivers and increases the ability to service more Dayton Freight trucks with their own equipment. Dayton Freight has also added a snow scraper for trailer tops and new office space. Increasing the capacity in the Indianapolis area will result in better service for Dayton Freight customers.